The Social Security Administration has announced that they will begin mailing Educational Correspondence (EDCOR) notices in the middle of next year to businesses and employers who submit wage and tax statements (Form W-2) that contain name and Social Security number (SSN) combinations that do not match their records. There are a number of reasons why reported names and SSNs may not agree with their records, such as typographical errors, unreported name changes, and inaccurate or incomplete employer records. If they cannot match the name and SSN reported on a Form W-2 to their records, they cannot reconcile employer wage reports and credit earnings to a worker’s record. When earnings are missing, the worker may not qualify for the Social Security benefits they are due or the benefit amount may be incorrect. The EDCOR notice will request employers to review their records and correct errors. Do not wait until year end to verify your employees. Soon, Social Security will be sending an announcement letter to these businesses and employers with one or more name and SSN combinations submitted within the last several months that they could not process. The announcement letter informs them they will receive and EDCOR notice in 2019 and requests them to review and correct their records. You can find information about correcting name and SSN mismatches at a link to their Frequently Asked Questions and other important information to go to this link click here. 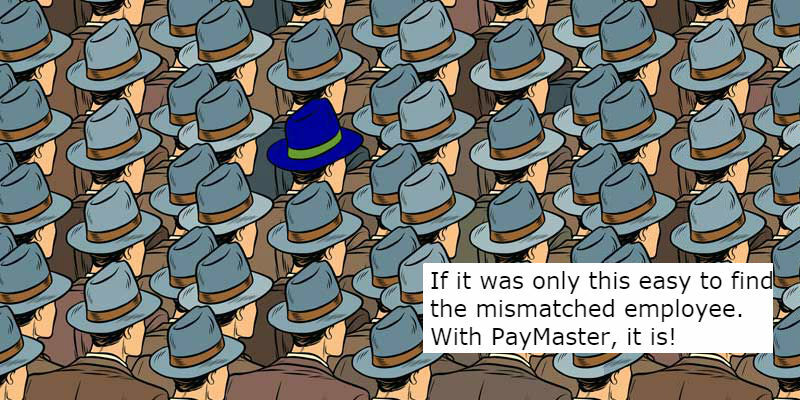 If you utilize a payroll service, such as PayMaster, they can perform a verification of name number mismatches for a minimal charge. The Internal Revenue Service can impose penalties starting at $50.00 to up to $260 per form for mismatched SSN. To get a better understanding you can go to the IRS Publication 1586 regarding Missing and Incorrect Name/TINs (aka SSN). If you have any additional questions about the EDCOR notices, contact the SSA at 1-800-772-6270 between 7 a.m. and 7 p.m., Eastern Time, Monday through Friday.